In an unfortunate incident, Environment Minister Anil Madhav Dave passed away today morning. He was 60. The sudden demise of the minister shocked the entire political fraternity with Union Ministers and the Prime Minister expressing anguish on Twitter. 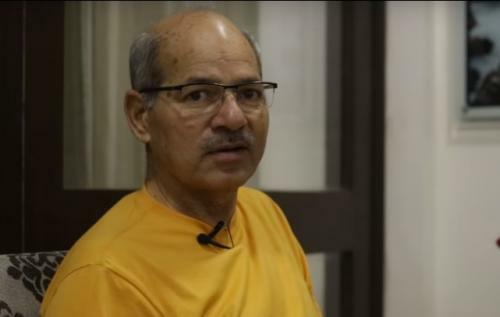 Anil Madhav Dave ji will be remembered as a devoted public servant. He was tremendously passionate towards conserving the environment. Dave, who was appointed as the Minister of State (MoS) independent charge of Environment, Forest and Climate Change on July 5, 2016, has recently been in the eye of storm for putting his weight behind the Ken-Betwa river linking project despite threats to India’s prime tiger habitats, the Panna Tiger Reserve in Madhya Pradesh. He had inherited a ministry that is being criticised for diluting environmental laws to facilitate quick industrial growth. Had the privilege of working very closely with Anil Madhav Dave ji on several issues including cleaner fuels. We will miss him a lot. Just a day before he passed away, the Union minister met a six-member delegation representing those protesting against the approval given for commercial use of genetically modified mustard. He assured them that their grievances would be addressed. A river conservationist and environmentalist known for his work towards conservation of the Narmada, he recently urged people, especially those living in the region along the Narmada River, to take up organic farming. He has also been a strong voice against chemical fertilisers. Last year, Down To Earth spoke to him on 25 years of liberalisation and its impact on environment. Is the MoEFCC encouraging environmental violations?